The medieval St John the Baptist Hospital buildings became in 1633 the Free Grammar School, a charitable foundation started by Exeter Corporation. The school remained on the St John's Hospital site for two centuries, until 1880, when Bishop Temple and a new board of governors instigated a move to a new school. Initially, it was to move to a site in Denmark Road, but for some reason it was turned down and the site used for Maynard's School. 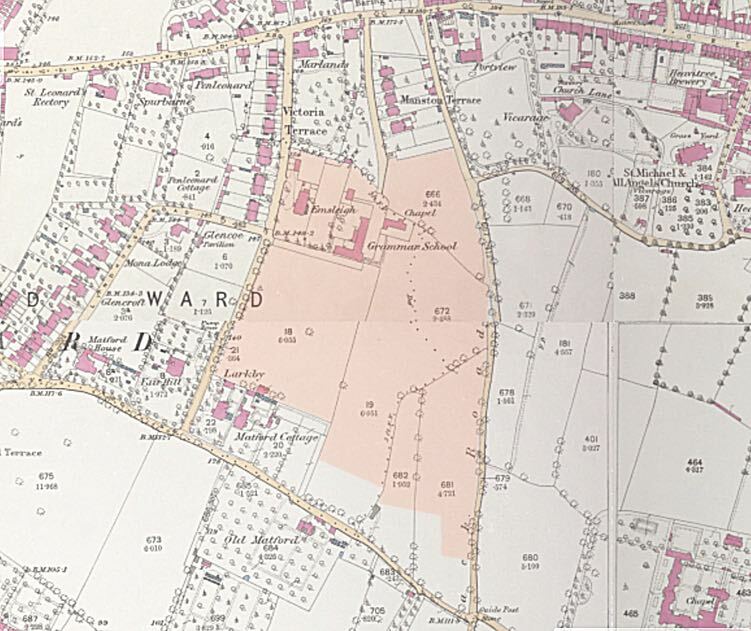 The school for 'what was essentially a school for tradesmen and the better class of working men', moved to a new, purpose built, 25 acre site, in Heavitree adjacent to Victoria Park Road. It was designed by the High Victorian architect, William Butterfield, who was responsible for Keble College, Oxford. The main building is L-shaped, with a five story corner block. 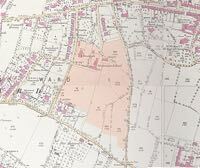 The land had cost the governors £7,600 and the building £16,750. The whole building is dominated by the tower which was originally intended to house staff rooms. Butterfield added a 'modest and efficient building' as a chapel in 1885. The tombstone of the first headmaster who died in 1642 can be found in the chapel. In 1920 the school found it was no longer possible to continue without considerable financial assistance. 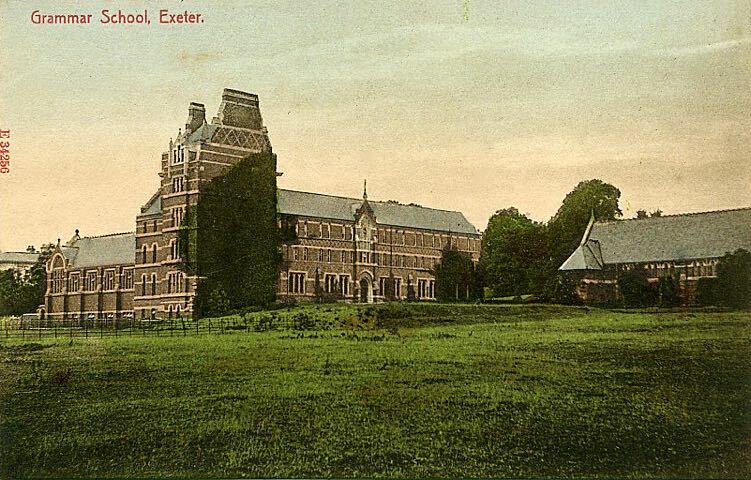 It came under the control of the Exeter Education Authority in April 1921. In 1929 it a "maintained" school until when it became an "aided" school, giving it control of its own finances, under a new Governing Body. It became a direct grant grammar school in March 1945, until September 1975 when the scheme was abolished. In September 1976 the first "independent", pupils were admitted into the school. Further additions, including the Andrew's Library, were made in the 1930's. 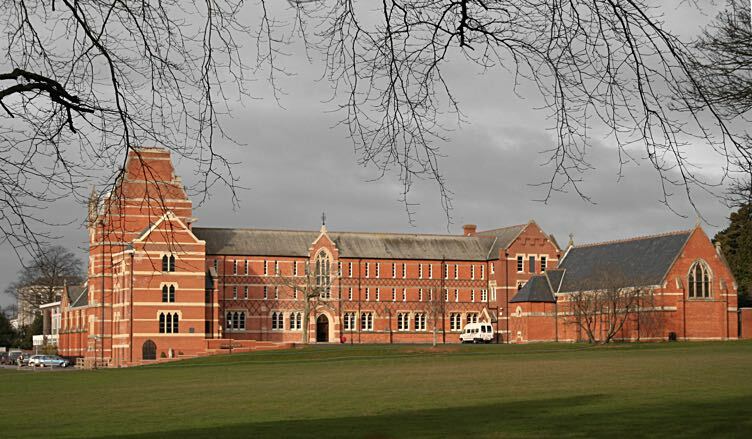 Exeter School is now an independent co-educational school of a thousand pupils, some being borders. Among its famous former pupils was Fred Jane of the Jane's military book publishers Harry Weslake, automotive engineer, John Graves Simcoe, first Governor of Canada and David Collins, inaugural Governor of the Colony of Van Diemens Land (Tasmania). The view of the school across the playing fields from Barrack Road. A postcard of the school, from the 1920s. 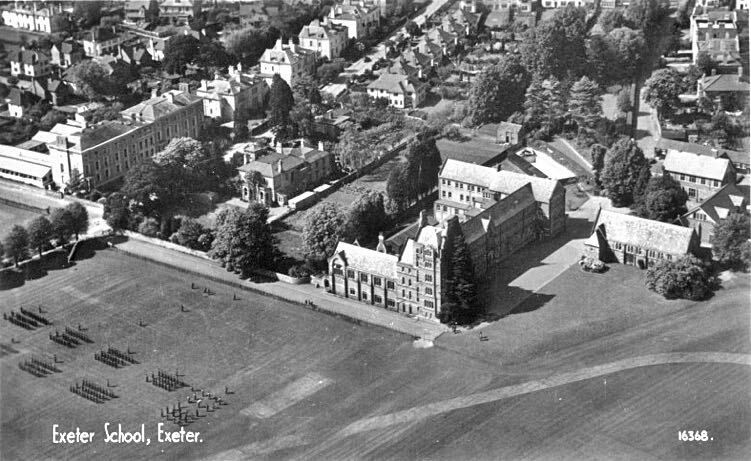 Exeter School showing the playing fields and students formed up in rows – probably Army Cadets. 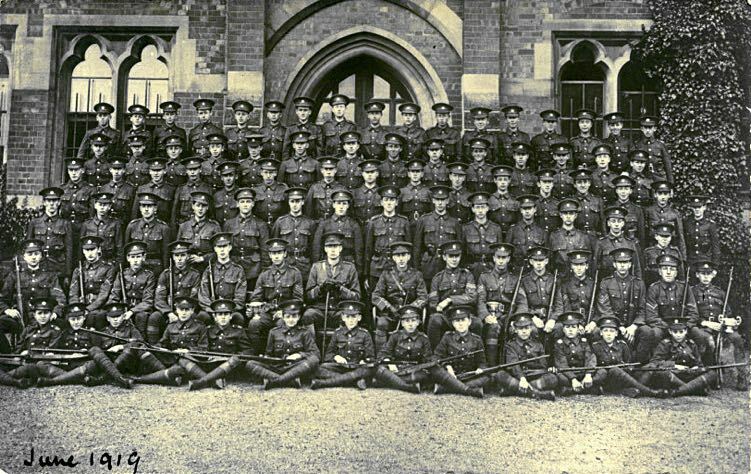 School Army Cadets in 1919. Many of the cadets from the previous years will have fought and died in the First War.